The Cancer New Moon falls July 13th 3.48 am (UK Time) at 20º of the zodiac sign. Luna will renew in Cancer in opposition to Pluto, which is pretty intense Stargazers! There’s a lot to say about this new moon. Firstly it’s an eclipse, which heightens and supercharges the lunation. Secondly there’s a lot of harmonious support in the stars, as Neptune and Jupiter lend their hand, extending towards the sun and moon from water signs Scorpio and Pisces. Lune meets Sol in her home territory, Cancer. This is a feminine domain as far as polarities are concerned, and Venus is also in a yin, ‘feminine’ sign: Virgo, in perfect alignment with structured Saturn and radical Uranus. That spells two Grand Trines in the skies! One in earth (Venus, Saturn and Uranus), the other in water (sun and moon, Jupiter and Neptune), see the image above. You don’t have to be fluent in Astro-speak or have too much imagination to know this is epic and super-special! Firstly, the new moon itself brings a refreshing new beginning – no matter your sign. New moon’s are ripe with potential to reflect, although wait a few days before really taking action. Venus in harmony with Saturn – and Uranus – gives a breath of fresh air and sense of reliability in relationship – loving Venus is both our romantic and friendly acquaintances, while Saturn is discipline, boundaries and structure. Power player Pluto comes into opposition with this new moon, underpinning the fresh start with an ominous hallmark. At worst, there could be challenging individuals on the horizon, presenting obstacles to overcome, however on the positive side there could be figures that embody greatness, ready, willing and able to help. A new beginning is signaled in your familial realms, with the emphasis on homely spaces, your emotional or literal surroundings – or even your sense of family, ancestry, safety and roots. Claim your fresh start, Aries, taking up space in ways you see fit to imagine. This is an ideal time to consider sweeping changes underfoot, so plan the environment that will help you feel settled. Anticipate some resistance around nesting, as your public life or worldly role competes with your special sanctuary; work life is experiencing it’s own harmony, yet your reputation at large could challenge a sense of domestic bliss. The new moon comes at a time when things could feel as if they’re falling into place, Taurus. Personal relationships have turned a significant corner, with Jupiter now sailing forth in your partnership and marriage zone. Significant friends, colleague dynamics or your romantic unions are heading towards smoother seas, and so ask yourself: how are you connecting to others? Close ties, sibling relationships, local neighborly interactions and school-friends are the focus of your new moon, so welcome the opportunity to reflect with a fresh take on peer relations. Ventures or a different path might demand your attention, yet tend to your immediate friend-fam. It’s a positive new moon for practical arrangements, Gemini, as sun and moon meet in your diligent zone of income, work and the role you’re compensated for. 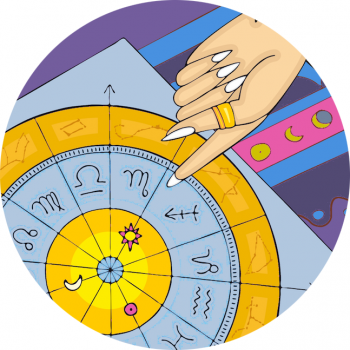 Bring about a fresh start for ways of performing in your position; 2018 has delivered a planetary turn that’s been keeping you busy, and there’s now potential to pause and consider everyday commitments. This new moon opens the door to change around what you do and how you do it. Relationships or establishments you rely on to sustain you are also impressing their weight and resistance. However, it’s likely your home and private life are entering a pleasant phase, with support where you need it most. A fresh start beckons, and for you Cancer it’s personal. One to one relationships – namely a lover or significant other – could be part and parcel of this new beginning, not necessarily because they’re embroiled in your new approach to life, but potentially because you face stiff opposition from another. Sun and moon in your sign have a fierce opponent in your partnership zone, so be aware that though you have good intentions outside opinions may loom large. Thankfully the stars align for passion and enthusiasm to propel your personal ventures; embrace your joy de vivre, and trust your most important and valued exchanges will settle into a unique sense of stability. Surrender is the theme of your new moon, Leo, as lune joins the sun in your closure zone, bringing the need for transition, release and renewal in the most private area of your horoscope. With energizing Mars in retrograde mode, our general sense of vitality is a little off now. Furthermore, Cancer season represents a time for you to go off the grid and escape. Keep a low profile this new moon and recharge solo, lionheart. The stars support you in quiet meditation so turn your phone to airplane mode and reflect on whatever’s on your mind. “There’s no place like home”, was Dorothy’s mantra, and with Jupiter now direct in your domestic zone you may see progress in the near future. The company you keep is the theme of this new moon, so look to the community, social network or work surroundings you wish to embrace, Virgo, renewing your goals among friends, colleagues and your tribe. With Venus now in your sign it’s a gorgeous time for you personally, note others showering you with smiles and a general affable sense of grace about you. Personal passions and exciting new ventures are yours for the taking, though your personal interests and that of the group may differ, slightly. Expect a clash when it comes to your enthusiasms and other objectives that might not chime so well. The path you wish to tread, your vocation and who you are at large is calling, Libra! The new moon resets your agenda around your public profile and position, so focus on how you want to be known in the world. Your job has been experiencing lots of attention or growth, as you’ve no doubt been occupied with matters of income and what you do to earn and be of service in the world. Home and your private life also have a part to play during this new moon, and for you in particular it could be a time that’s compelling to escape for some quiet reflection time. Your enthusiasm or lust for life might not be 100% on point right now, however Mars retrograde is making us all feel a bit lacklustre. You’ll be feeling your best from August 7th so take a well earned pause. A special venture, educational path, journey or some important growth opportunity is the subject of your new moon, Scorpio, with a moment of still to be taken to look beyond your usual parameters. A neighbourhood beyond is calling, perhaps even a distant or foreign land! Pick up the phone and connect to your ideals and philosophies; it’s a grand time to visualise an adventure for you and those you adore. Relationships are thriving and you’ve entered a more sociable phase, and you might even be feeling compelled to shake up your relationships! Remember, the new moon is a good time to take it slow. And, both your ruling planets are retrograde so pause, Scorp. The most private area of your horoscope is the focus of the new moon solar eclipse, which means personal bonds are under review, Sagittarius. Finances, contractual agreements, property or loyal partnerships are some examples of what could be on your radar, essentially it’s how your invest your time or money. With your ruling planet Jupiter now direct in your closure zone it’s likely you can move ahead with plans to begin a new and exciting chapter. This new moon helps you decide who’s on side, and the relationships you can count on. Money, income or your job is vying for attention too; expertly balance your practical commitments, leveraging support. Your personal relationships are in the spotlight of the sun presently, as Cancer season lights up your one-to-ones, Capricorn. And the new moon solar eclipse creates opportunities to invoke new partnerships and opportunities to share the load with others. This is a fortuitous time to manifest, however don’t push too hard – it’s easy to come on strong in exchanges with those you’re dealing with, as tension mounts between powerful Pluto in your sign and others. Tune into a more emotional, socially conscious vibe to harness the power of the new moon, using the community or company you keep to enhance your options. The new moon in Cancer brings your focus towards self-care Aquarius, and while you’re one of the zodiac’s self-sufficient logical characters, it might be necessary for you to pause more than most, now. Mars is presently retrograde in your zodiac sign, powering down and pressing the off switch on your momentum. In fact, at the time you’re urged to take a step back to focus on your private life and transitions you’re undergoing. It’s likely your career and job role have turned a significant corner, taking the pressure off, so now turn your attention resolutely towards your routine, and the little things you can do everyday to improve your daily schedule. It might be time to deligate. Your sense of romance, creativity, passion and play can enter another dimensions at this new moon, Pisces, as you claim a fresh start for cherished projects, hobbies, personal interests and romantic inclinations. Seize an enthusiastic take on everything that raises your pulse, including sports, games, children, the dating scene or your resolve around an artistic sideline. Renew your affections, and have faith in personal ventures. Relationships of every kind are entering a phase of pleasantries, so enjoy the rapport you have one-to-one. You’ve plenty to accomplish in your inner world, as Mars is potentially dredging up plenty elsewhere to deal with. Mars Is Retrograde, And This Is An Eclipse! The most important ritual to adhere to on this particular new moon is taking a generous pause. Energy planet Mars is retrograde and not spurring anyone into action, plus the new moon comes at the most low energy time of the month, when luna has disappeared totally from view. Put pen to paper, and actually writing down your goals planning for the 6 and 18 months ahead. In six months time it will be the full moon in Cancer, and in 18 months we’ll see another full moon that more closely matches this degree of Cancer. With so many planets in water you’ll want to hold onto something that reminds you to breathe. Discover the perfect practice, a yoga sequence for Cancer season in the new segment on Star Sign Style, with Yogastrology. This new moon has fierce opposition from Pluto, astrology’s lord of the underworld and all-round bad boy. Pluto is the energy at play when we feel violate, and with hyper-feeling Cancer in tension with Pluto we could be truly sensitive at this time. Pluto may be wreaking havoc, not to mention Mars, but you can still step into those peachy corals and a smokey eye for the new moon moment. Born On A New Moon In Cancer: Courtney Love, Charlotte Gainsbourg, Jessica Simpson, Busy Philipps, Arianna Huffington, Sandra Oh, Vera Wang, Giorgio Armani, Sofia Vergara, Lana Parrilla, Tulisa Contostavlos, Inna Shevchenko and also Prince William, Camilla, Duchess of Cornwall.